This woodsy coastal Maine landscape looks as if it has been this way for centuries, but a few years ago it had been devastated by construction damage, insects, and Hurricane Hanna. The understory was gone, leaving the property exposed to the elements and quickly eroding. 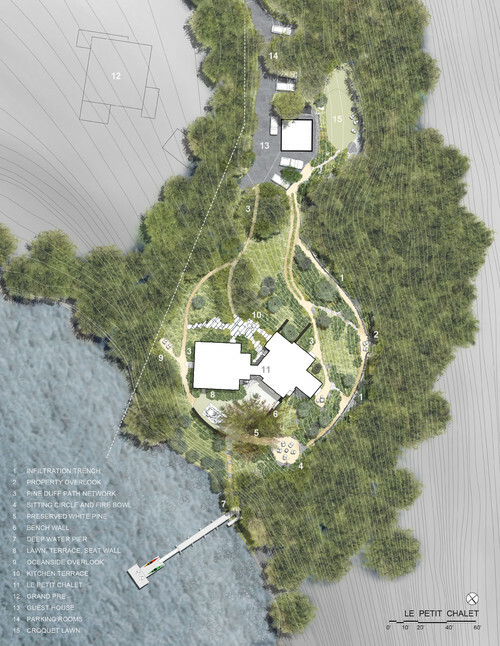 Landscape architect Matthew Cunningham gave the first phase of renewal a jump start by addressing erosion problems and planting native pioneer species. 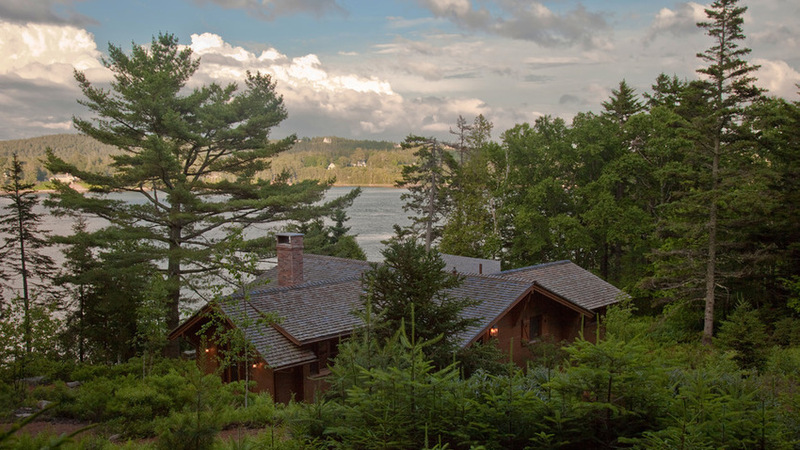 Here are the amazing results, lauded by the property’s next-door neighbor, the National Park Service at Acadia National Park. 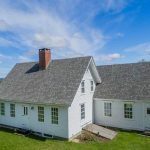 Size: The property is 3 acres total; the new garden is about 1½ acres. The home consists of two main parts: The Tea House dates to the early 1900s and is not winterized; The Fox House, built in 2007, is winterized. During the construction of The Fox House, trees along the edge of the forest were damaged or removed, leaving others vulnerable to wind. After many came down during Hurricane Hanna, runoff water and wind eroded the site at an accelerated pace. 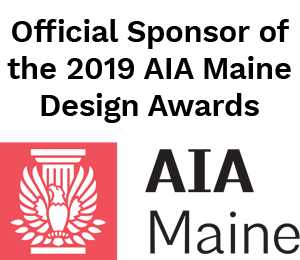 Cunningham grew up in Maine and is fluent in the design vocabulary of rugged granite chunks, moss-covered boulders, pine needle paths, evergreen forests, and jagged stretches of coast. 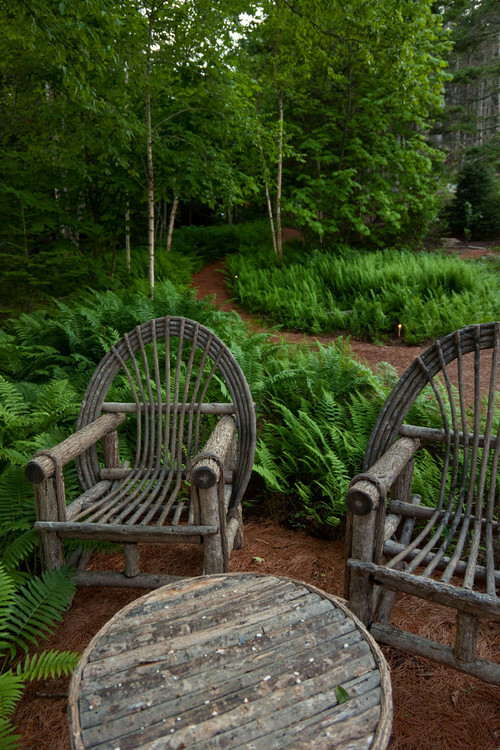 For this site, he envisioned an Acadian garden filled with tucked-away spots where people could enjoy solitude and views within a broader landscape that would heal the property and begin the process of succession anew. 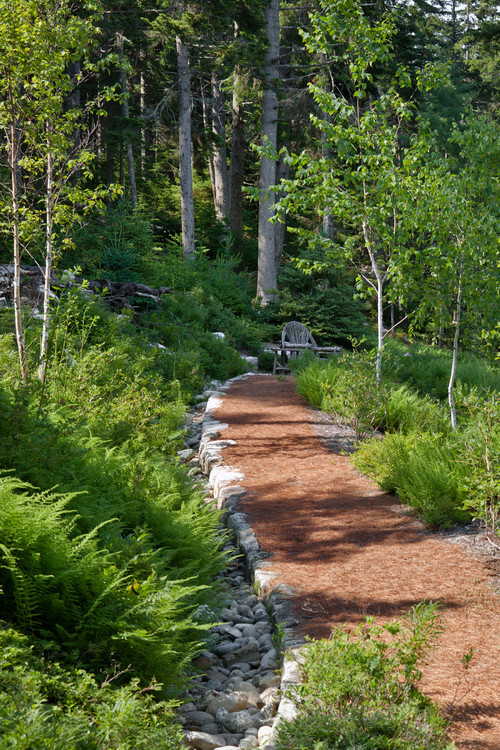 By using native plants and leftover granite from a nearby quarry, and even covering rocks with moss by hand, he alleviated the ecological problems while creating a network of paths and terraces for enjoying the surroundings. 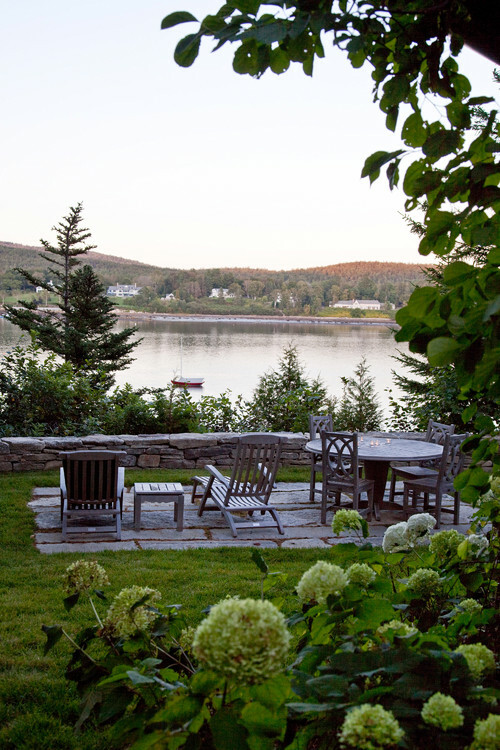 A patio overlooking Somes Sound “is like an outdoor stone area rug on the lawn,” Cunningham says. Paper birch trees add color and help stabilize the soil. Although he chose many pioneer species that can grow in poor soil, Cunningham also brought in new soils and specialized landscaping fabrics to halt erosion. The landscape is now in such good shape that many of the area’s original species have returned. 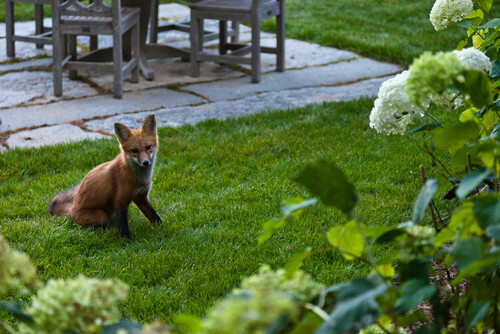 This mama fox was curious about the construction process and ventured close enough to steal the workers’ leather gloves at night. 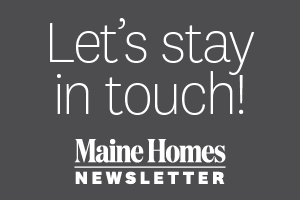 Locally quarried granite slabs are a common element in Maine landscapes. Cunningham purchased leftovers from a dealer with the rights to a closed quarry in Frankfort. “They have been sitting around for years and are already encrusted in lichen, which gives them a patina,” he says. The team tucked moss, which comes in dehydrated sheets, between the joints to add to the aged feel. After positioning the moss, you water it, which makes it expand, and soon the spores take hold of their new surroundings. 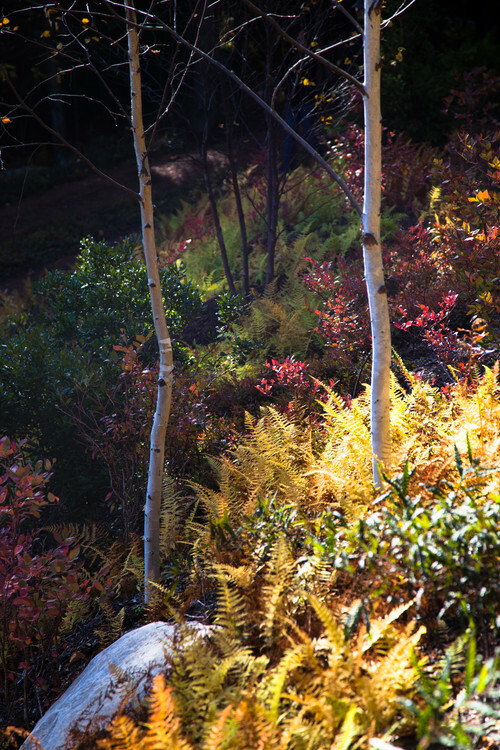 “Hay-scented ferns cover the property like a fabric,” Cunningham says. Other plantings include bayberry, blueberry, bunchberry, fothergilla, sheep laurel, and viburnum. Many of these plants provide food for the critters that have returned to the site, including red squirrels, deer, fox, chipmunks, and several bird species. All of the new plants help stabilize the site. 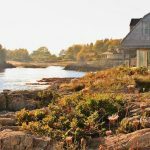 In one special spot, Cunningham integrated a 9-foot slab of granite into a dry-laid fieldstone wall overlooking the sound. This plan gives you a sense of the circulation pattern and relationship of the property to the sound. Some of the paths serve multiple functions. Cunningham did some major grading to keep runoff waters from eroding the property; the hill to the left directs water to a trench along this path. The runoff then percolates into large pipes and drainage basins. Low profile retaining walls help the house look nestled into the slope. 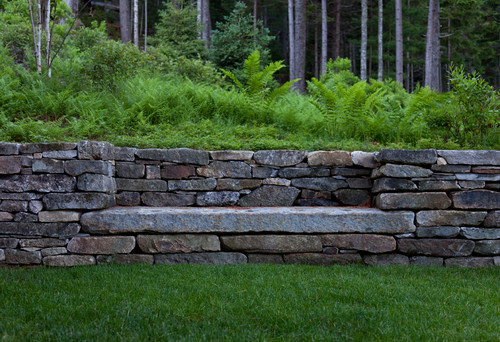 Ferns soften the edges of the walls, so they seem to disappear into the earth. Two can keep an eye out for bald eagles from this overlook. 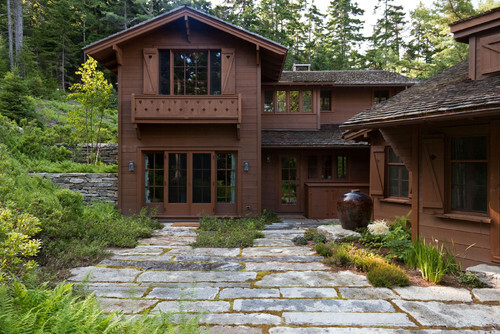 The house is once again tucked into a sublime coastal forest, where the homeowner and generations of her family can enjoy watching the woods transform around them.